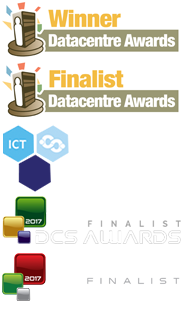 Mavin’s Global Datacentre Relocation services have provided enterprise clients across the world with a robust, meticulously planned and executed solution for their often complex datacentre relocation projects. Working with our specialist partners, we employ the 5 P rule to all service engagements; Proper Planning Prevents Poor Performance. By working closely with your teams throughout the project’s life-span, Mavin will ensure that all eventualities are understood and appropriately planned for by our dedicated relocation teams. Whether the requirement is for single system datacentre relocation through to a heterogeneous, 5000+ system infrastructure migration; Mavin’s professional relocation teams manage each project with the same attention to detail and professionalism. Our skill sets and experience enable us to assist as much or as little, as required, on all levels. Take a step toward joining Mavin’s network of satisfied and referenceable clients by requesting a no charge desktop to datacentre pre-relocation consultation today.